NASA’s pursuit of Earth 2.0 will have to wait at least another two days for a critical search asset to head into orbit as the launch of the Transiting Exoplanet Survey Satellite (TESS) atop a SpaceX Falcon 9 rocket was delayed from Monday to provide time for additional Guidance, Navigation & Control System analysis. 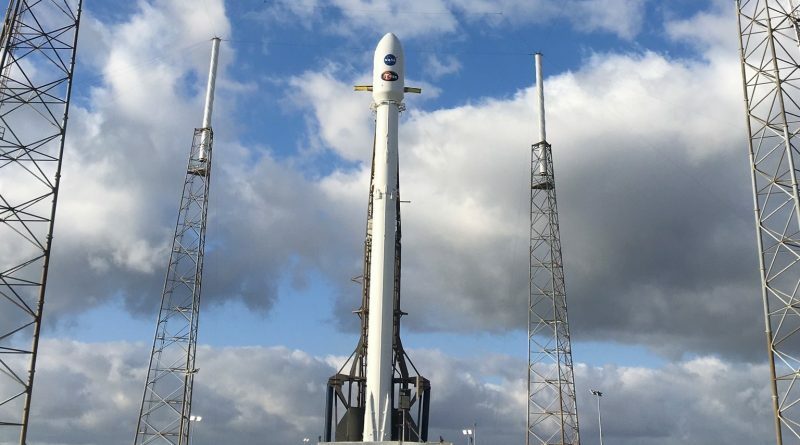 Liftoff has been tentatively rescheduled for Wednesday with a half-minute window opening at 22:51 UTC – pending resolution of all outstanding items. SpaceX Launch Controllers abandoned Monday’s launch attempt at T-3 hours and 4 minutes, well before the start of any setup operations for loading the Falcon 9 rocket with propellants. Word of the delay was slow to percolate until SpaceX officially confirmed the scrub less than two and a half hours before the brief T-0 opportunity. 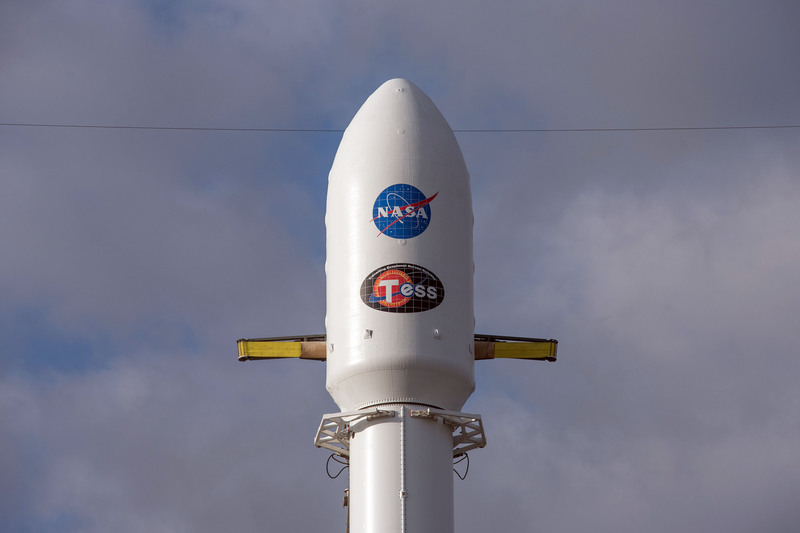 Launch preparations involving the TESS spacecraft and Falcon 9 rocket – a factory new Block 4 vehicle – had been running smoothly toward an April 16 liftoff, a target that had stuck since mid February. The two-stage rocket went through its customary Static Fire Test last Wednesday to cross off the standard end-to-end test of its onboard systems culminating in the brief ignition of the nine Merlin 1D engines. TESS had been readying for launch at the Kennedy Space Center since February, receiving maneuvering propellant and completing final checkouts before installation atop the Falcon 9 payload adapter. The 1.5-meter tall spacecraft looked somewhat lonely inside the 13-meter Falcon 9 payload fairing when it was encapsulated on April 9/10 followed by the transfer over to the pad-side hangar at Cape Canaveral’s Space Launch Complex 40 for integration with the two-stage Falcon 9 rocket. The plan for Falcon 9 was to become the second orbital-class rocket to depart Florida’s Space Coast in under 48 hours, coming right on the heels of Saturday’s successful Atlas V mission with the CBAS military communications satellite and EAGLE experimental platform. Rollout of the Falcon 9 rocket was planned for midnight, but the rocket was kept sheltered for a little longer to allow a frontal boundary and associated thunderstorms to pass over Cape Canaveral before moving the vehicle to the pad. All appeared to go by the book as the 70-meter tall Falcon 9 entered its vertical launch position and began a lengthy countdown with a detailed checkout of its electrical and flight control systems. However, behind the scenes, discussions had been underway since Sunday morning on open items on the launch vehicle side. These watch items had been identified in the customary Launch Readiness Review that is conducted as a final look at all systems supporting the mission as well as closing out reviews into any out-of-family conditions occurring on the most recent launch of the vehicle. It was the latter that prompted additional studies and eventually led to launch efforts on Monday being abandoned to provide time for an in-depth review focused on the Falcon 9 second stage and its flight profile. “Standing down today to conduct additional GNC analysis, and teams are now working towards a targeted launch of NASA TESS on Wednesday, April 18,” SpaceX Tweeted after the countdown was stopped. 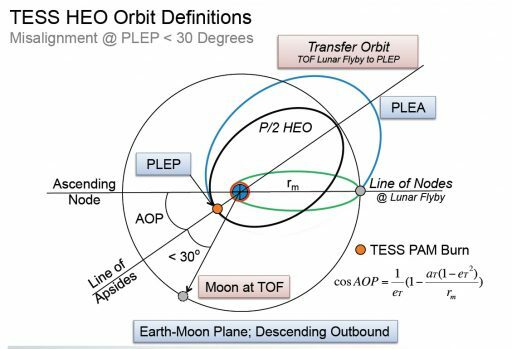 Launch opportunities for TESS are dependent on the geometry between the Cape Canaveral launch site and a planned lunar flyby of the spacecraft after three and a half phasing loops around Earth – essentially setting up a precisely timed flyby window a month in advance. As a result of its orbit design, TESS has several blocks of consecutive launch opportunities per month with single- or multi-day gaps between them. Wednesday’s half-minute launch window opens at 22:51 UTC – creating an instantaneous shot at getting TESS off the planet with some wiggle room for collision avoidance, if needed. The mission has daily launch opportunities through April 21st and again from the 23rd to the 26th. 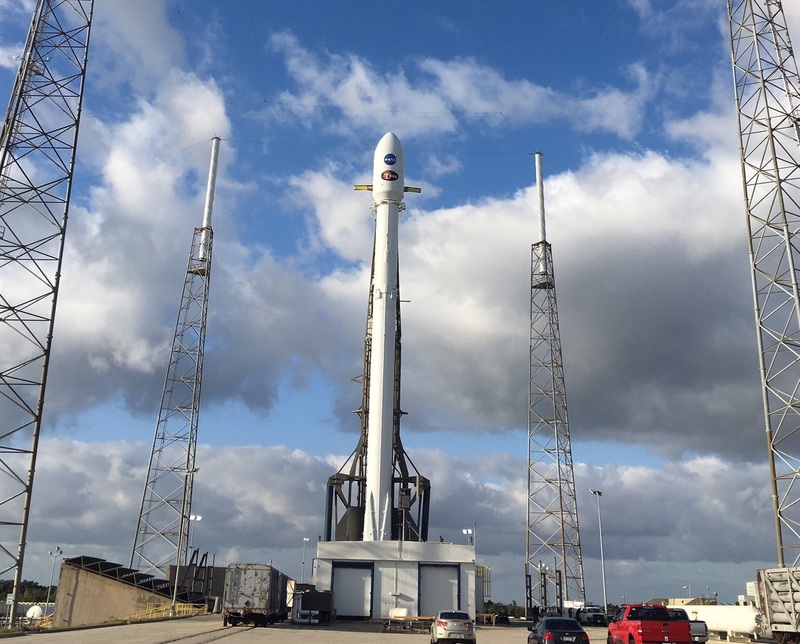 Weather for launch opportunities on Wednesday & Thursday appears very favorable with only a 10% chance of violating launch criteria, according to the 45th Space Wing. 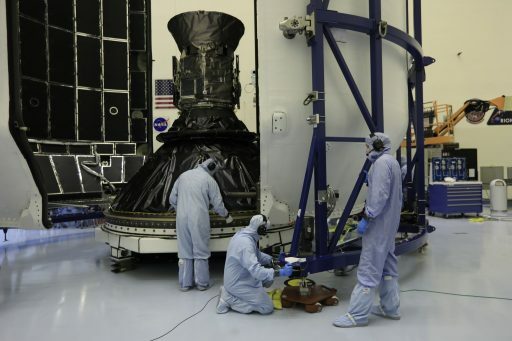 Should TESS still be on the ground by then, NASA would request SpaceX to enter and extended stand-down because NASA’s Launch Services Program would have to shift to the West Coast launch of the InSight Mars lander on May 5th atop an Atlas V rocket. Limited personnel does not allow the LSP to support simultaneous campaigns and InSight will take priority due to its interplanetary launch window that is open only once every 26 months. Falcon 9 will be tasked with lifting the 360-Kilogram Transiting Exoplanet Survey Satellite (TESS) into a highly elliptical orbit peaking around 270,000 Kilometers above the planet from where it will be up to the spacecraft to go through an incredibly elaborate orbital ballet involving thruster firings and a lunar gravity assist. 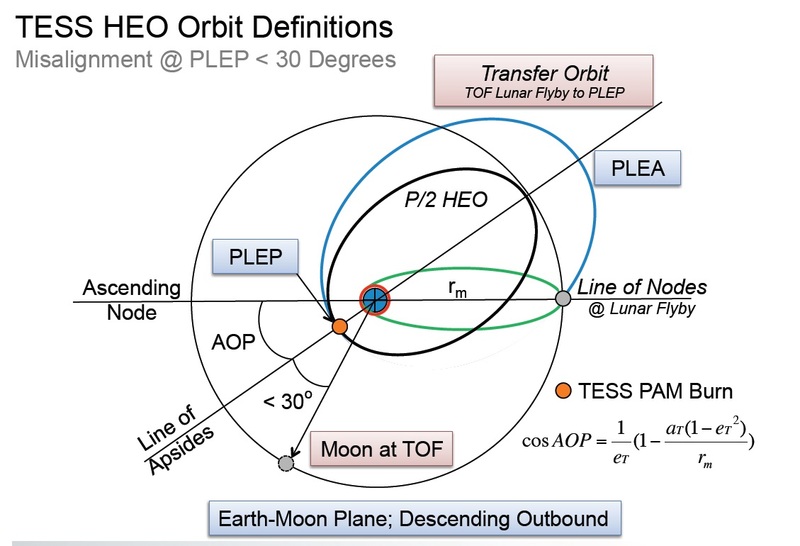 If all goes well, TESS will achieve a unique lunar-resonant orbit with a period of half a lunar day – chosen because it provides the mission with a disturbance-free observation environment from a thermal, radiation and stray-light standpoint. Taking a detailed exoplanet inventory across 85% of the sky, TESS is expected to detect and characterize in excess of 10,000 new planets including a rather large sample of around 500 Earth-sized and Super Earth planets including some in the habitable zones around their host stars. 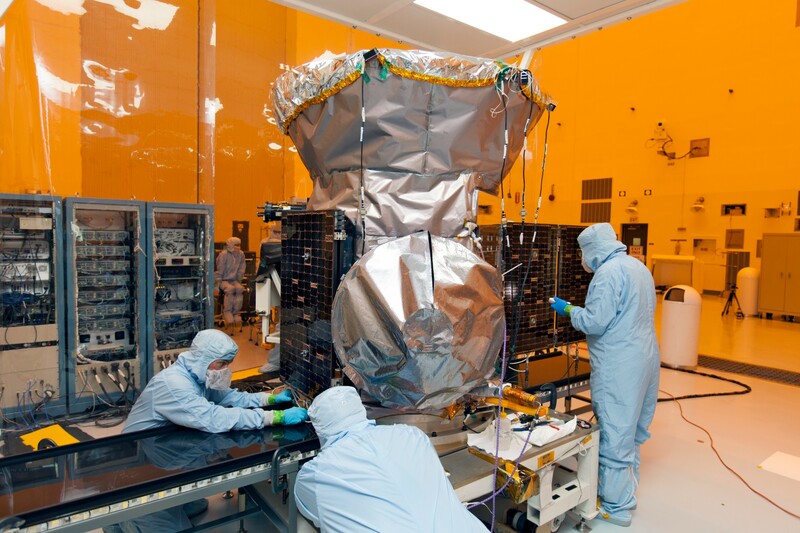 Capable of delivering a detailed inventory of potentially habitable exoplanets, TESS is considered a critical precursor to NASA’s James Webb Space Telescope that will be tasked with detailed characterization of potentially habitable worlds far from Earth. TESS has been optimized through its optical design to observe stars 30 to 100 times brighter than those observed by Kepler, focusing on easy-to-study exoplanets in Earth’s astronomical neighborhood (up to distances of 300 light years) – covering G, K and M-type stars with optical magnitudes brighter than Mag 12. The ultimate goal for TESS is the creation of a large catalog of the nearest and brightest stars hosting exoplanets to keep the scientific community busy for years to come. 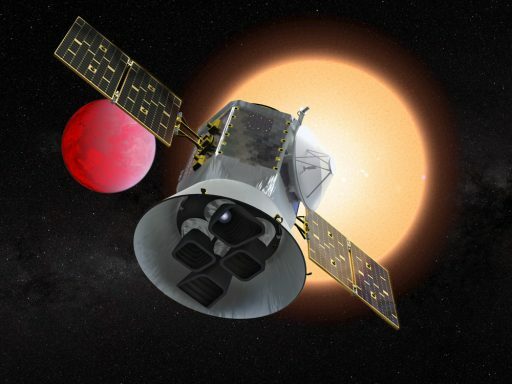 The reason behind focusing TESS on the solar neighborhood is a desire to identify exoplanets that can be easily studied with current ground-based telescopes and space telescopes that are already under development like James Webb and the budget-threatened WFIRST. Follow-up observations of astronomically-close exoplanets will yield their mass, size and density to allow for a basic differentiation between rocky planets, ice giants or gaseous worlds like Jupiter while spectral observations will shed light on the composition of their atmosphere – a critical piece of information when assessing their habitability from afar.